Style Theory: Hush has become one of my go to brands for not only brilliant basics but also some key items to add interest to my wardrobe. They have just launched their new Summer 2017 range and it is looking gorgeous, from bright tangerine jackets to easy wear knitwear to the most stunning jumpsuits. 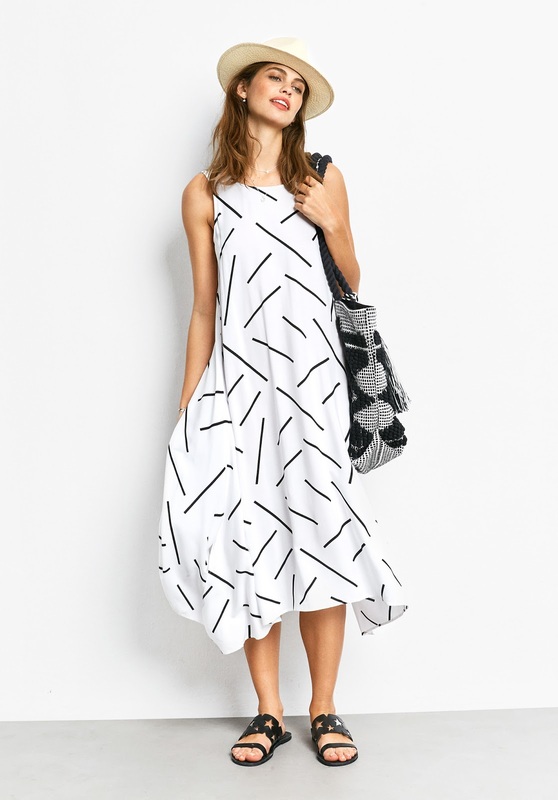 They are all laid back pieces that will effortlessly blend into your existing Spring/Summer wardrobe but add a little extra interest and splash of colour. Here is my edit of my favourite pieces - I have seen them 'in real life' and can confirm they are stunning. Be quick though, Hush sells out of key pieces so quickly and once they are gone they are normally gone for good..
Classic Hush jumper, still one of my favourites this is a jumper you can not help but get wear out of, perfect for everything from the schoolrun to summer nights out with friends, just pair with boyfriend jeans and tan heeled sandals add a tan leather bag and you have laid back, chic style perfection. I do love a grey base sweater as they do go with all bottoms from jeans to skirts to shorts and looks flattering against skinkissed skin. 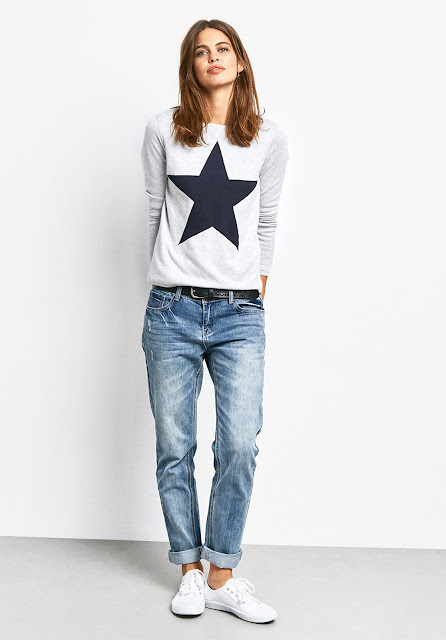 This is also on my shopping list, it has a slightly higher neck and is reversible so two jumpers in one..perfect! 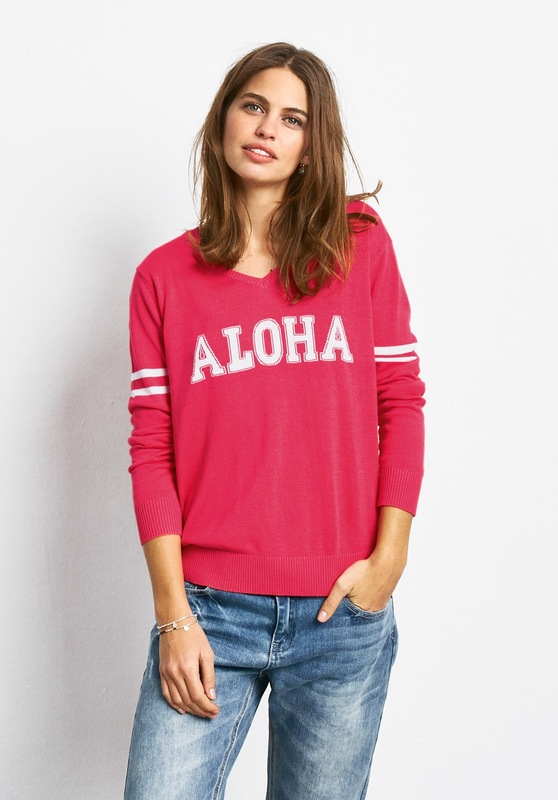 Slogan jumpers rule for me, I wear them all the time they are so easy to sling on with jeans or shorts. I love the vibrant raspberry colour of this sweater, it will brighten up my looks and reflect on my skin adding a glow to my dull winter pallor. 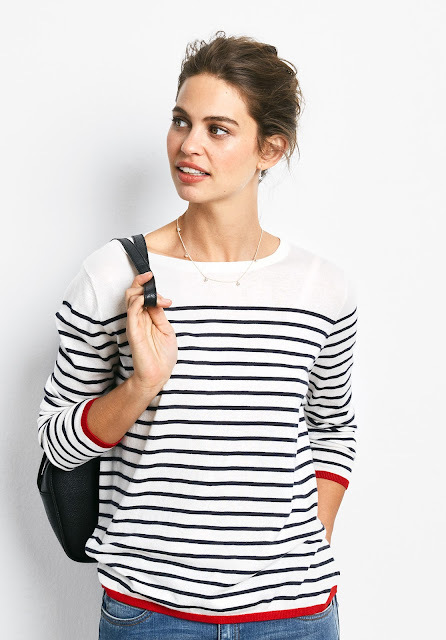 This is the perfect update to the basic breton top, it is finer knit in a fluffy fabric that looks incredibly chic and elegant. 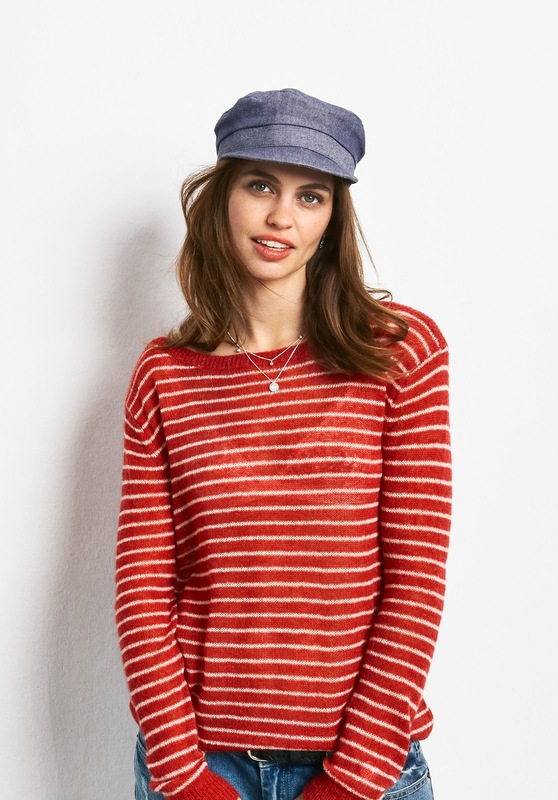 The ideal top to wear under a navy blazer, add a pair of ankle length jeans or denim dungarees and a pair of silver supergas for a cool, understated but super stylish look. Love the breton in the red too.. 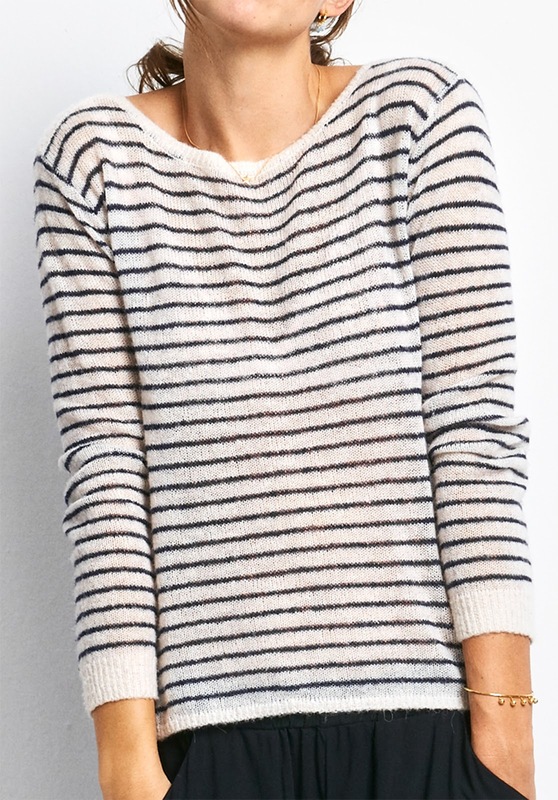 This is a great sweater if you love a breton but are a little conscious of your tummy. This is a loose, oversize fit and ticks the breton box without being too figure hugging. The red tipping details just makes it that extra bit special. I just love the thought of this top with a tan in the summer, just add shorts and Palmaira sandals for a stunning but really easy to wear look. 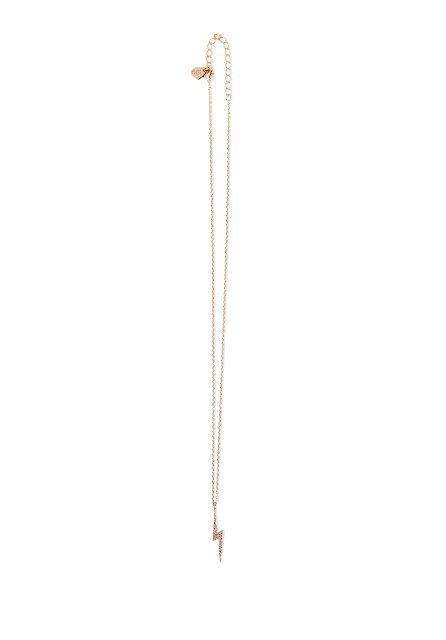 Such a good value necklace that sits high up on your neck for a flattering and cool look. The perfect throw on dress for the beach or for just running around after the kids, cool, stylish and selling out fast..
One of the items that I fell in love with the most in the Hush Spring Summer collection, this jumpsuit the epitome of comfortable sophistication. It would be the perfect summer evening wear, I would love to wear this down to the beach for dinner with the family. For now I would wear with my sequin gold bomber jacket and pointed heels. 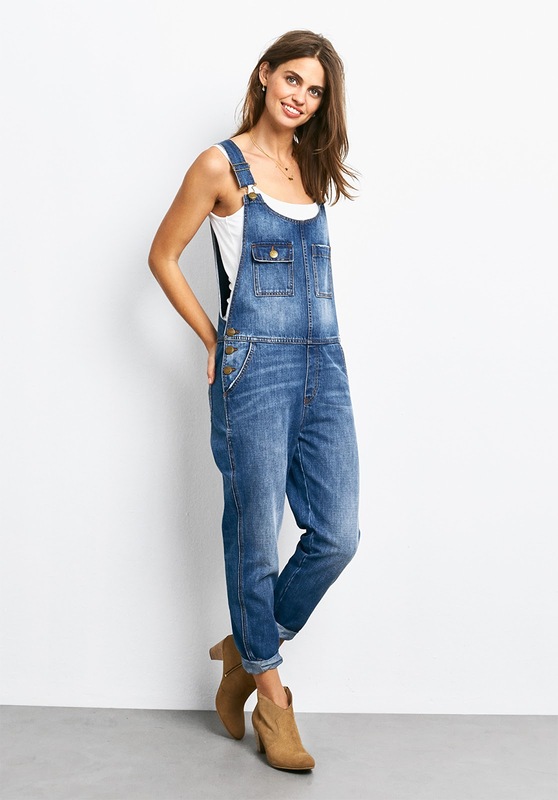 As you know I love dungarees and these look fab 'in the flesh' a great wash, styling is perfect. 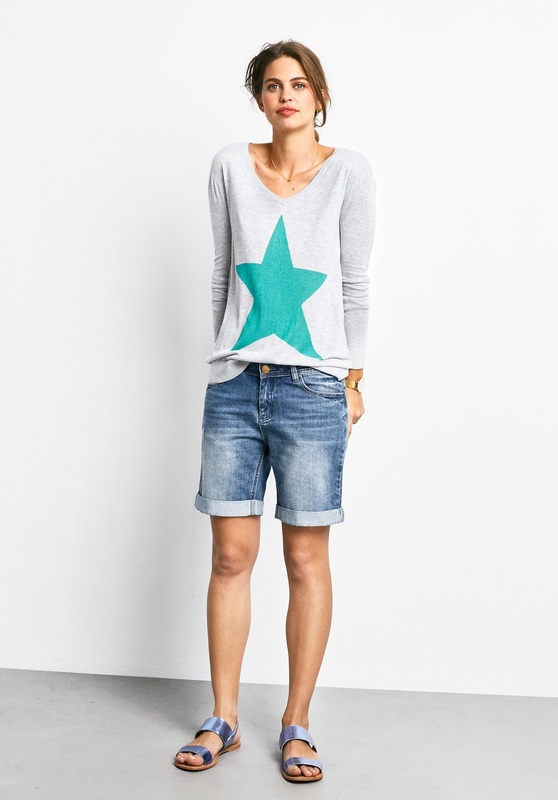 Great with a pretty white top underneath and trainers for the schoolrun, or chilled weekends. Once you find a great pair of denim shorts you can live in them in the summer, these are a great length not too short or not too long in a great light wash. I am also a huge fan of the Hush boyfriend jeans they look fab on,(worn below with the knit jacket) I like wearing them with a huge turn up, heels and a sweater. This is my hero piece, this knitted jacket will perk up any wardrobe, style simply with a breton, boyfriend jeans and stan smith trainers for a chic, laid back look. 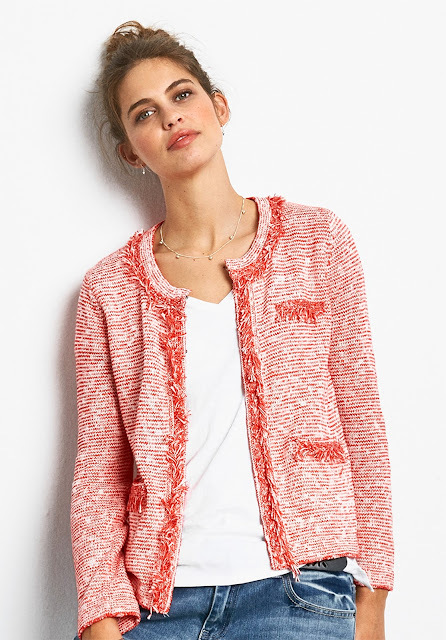 It is a super stylish structured cardigan and in my shopping basket now! 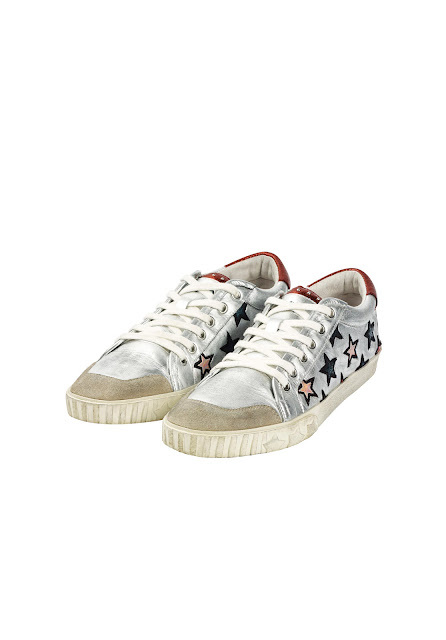 Finally these trainers are gorgeous, they are a cross between YSL and Golden Goose trainers but a little less expensive (although still an investment piece) I wear trainers almost every day so they are an item I definitely get price per wear out of! I love the stars, the silver and the muted colours..trainer perfection. At the moment I've got 4 jackets in my basket! Love the red and yellow ones in particular, think they will go with so much, not that I am trying to justify my spending! Love everything too! I'd really like their cashmere jumper but it'll blow my budget!! Just wondered if you think their cashmere is good. Don't want to lay out if it bobbles. Any advice would be appreciated. 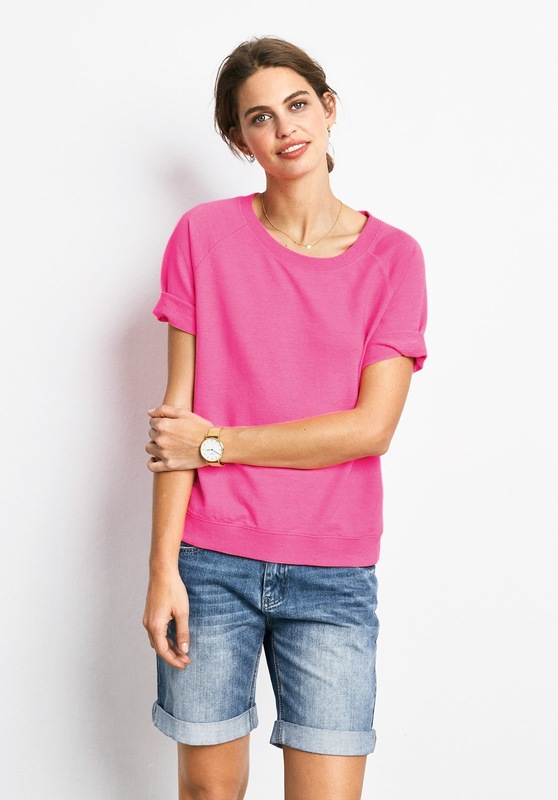 At the moment it's pink cashmere v neck versus pink linen jumper, decisions! 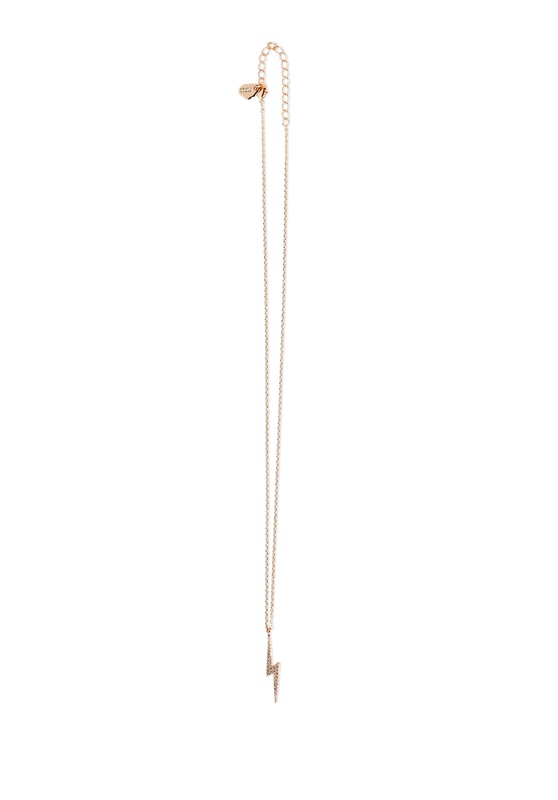 Would anybody, who has bought a pair of Hush boyfriend jeans, be so kind, as to tell me how they size? Is the size 6, the same as a size 24 or a 25? Do they run large? I live abroad so would like to weigh my risk of ordering and having to pay for postage/packaging and return costs. I think they run large. Love my pair though! The application oil onto the leather design makes it water resistant, while the strong stitching provides the durability. I'd really wanna thank the Alex Brian team because they have offered us a detailed post that guides us How To Find The Cheapest Hosting Possible which includes a Free HostGator Trial Hosting for the first month..
https://offshorededi.com/ offers high quality DMCA Ignored Hosting. We make offshore hosting simple for you to use with reliable servers and one-click installers. Your data is safe with us as it’s is kept in a high security facility in an offshore jurisdiction assuring your privacy. But in what quantities and ratios, one may ask should these foods be taken? Well because the claim is that protein max trim keto comprises 19%-35% of the calories in hunter-gatherer diets Cordain stipulates that the diet calls for a similar amount, meaning more proteins and meat.